Protect yourselfYou may encounter things like poison ivy, briars, ticks, mosquitoes or larger wildlife on your adventure. Weather can also change quickly in the region. Be visibleSome of the sites you may visit are open to hunting and fishing at certain times of the year. Some sites, such as in federal, state or provincial parks, may also require or suggest that you check in with staff before into the site. Step carefully and leave no traceSome of the sites that you may visit are sensitive or protect important species and their habits. Obey signs and regulations to avoid impacting or damaging these areas. Always remember to carry out what you have carried in. Once you have accumulated 100 points in the Passport, email a copy of the Passport with your answers to geocache@gulfofmaine.org.Don’t forget to send your mailing address. 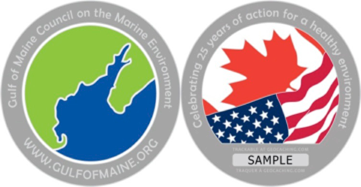 Once we have verified your answers, a limited edition Gulf of Maine Council 25th Anniversary Geocoin will be mailed to you*. Geocoins will be awarded in the order the Passports are received, while supplies last. The Gulf of Maine Council is not responsible for Passports that are lost. 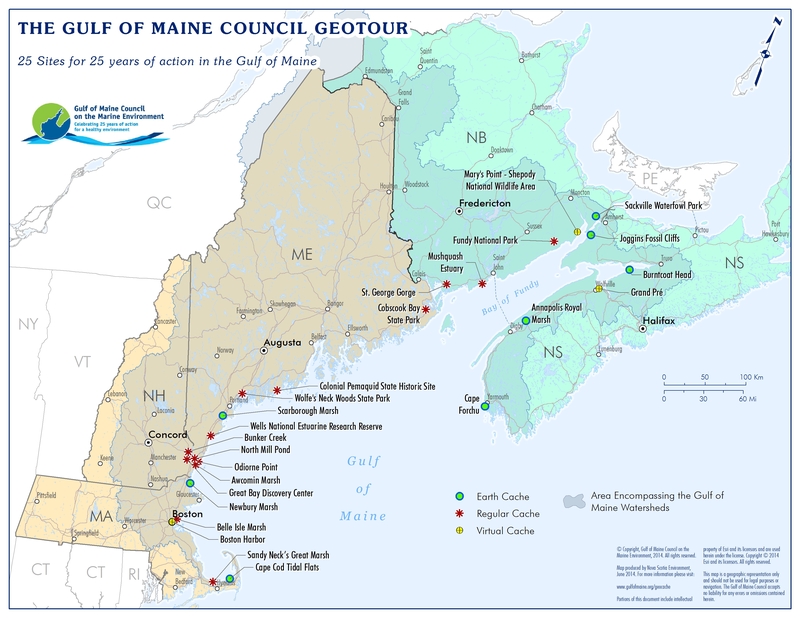 The Gulf of Maine Council reserves the right to limit or revise this offer at any time. Additional terms and condition may apply. Once you receive a geocoin, activate it.How To Activate My Coin?You can now keep your geocoin as a souvenir of your participation in the Gulf of Maine GeoTour, or you can hide your geocoin in a geocache of your choice and track its travels on Geocaching.com as it is found and re-hidden by other geocachers. To track the travels of your geocoin, you will need to become a member of Geocaching.com.